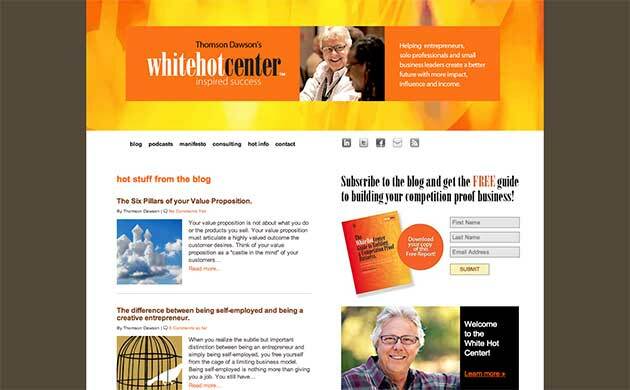 Thomson came to me a while back and shared his idea for creating an online space to help early stage entrepreneurs realize their vision—The White Hot Center, or the “goo” as he called it in our meetings. Since he has a design background my role was to realize his idea and creative vision. I met with Thomson several times to help refine the presentation of his rich content, and continue to provide website management and consulting services to him for his WordPress and Thesis powered website.